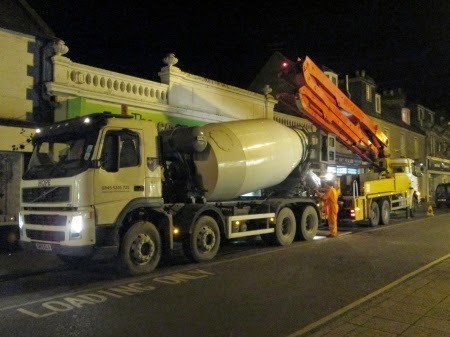 Tons of concrete being poured into the High Street Co-op. Just across the road shopfitters were busy working late too in the former DE shoe shop that is soon to become a Red Cross Charity Shop. There is the 'metric ton'. You cant put brains into cement. Concerning that in other towns such as Tain and Huntly co-op has invested in its town centre stores heavily and closed its lagrer store. With lidl on the horizon are they planning a similarcontaction? It may make business sense. Have to agree with the above post. With a revamped high St store, Sainsburys, Lidl and Home Bargains the bigger store seems irrelevant. Coop sit nicely in the convenience niche, they have struggled to compete on a larger scale. Re Anon @1.20pm, maybe the big co-op could sell up to Lidl now, it would save Lidl building a new store.